How are emotions articulated in the body and voice? How are they categorized within everyday language? What is the nature of emotions, and why are they so disturbing and powerful to witness onstage? 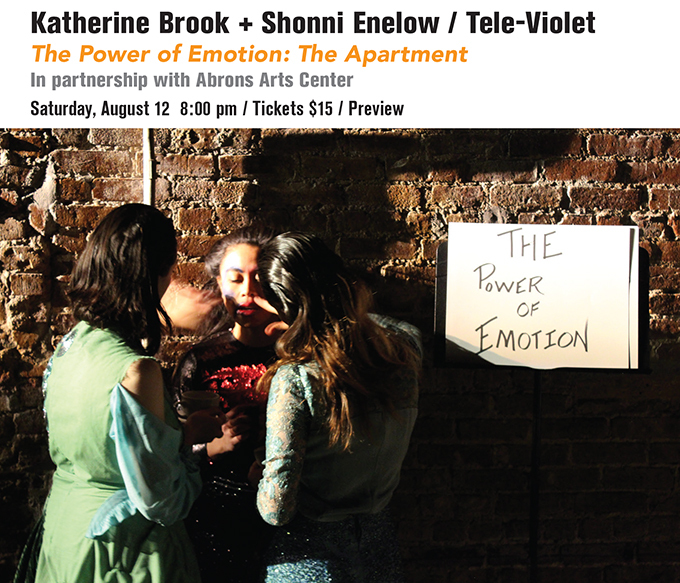 Led by director Katherine Brook and writer Shonni Enelow and developed into a musical collaboration with composer Taylor Brook and TAK ensemble, The Power of Emotion is a long-term project exploring how we watch, hear, and perform emotion. In its third and final iteration, The Apartment, a fight between two women leads to an apartment fire. Tele-Violet is a theatre company led by director Katherine Brook that uses dramatic texts and real-world content to experiment with acting and dramatic form in a collaborative context. Tele-Violet has been featured at Prelude, Little Theater, Catch, The Working Theater, and Under the Radar.